Let me introduce you to the 'nasnors' mobile. Nasnors is a mix of Ks funny language and German Nashorn (engl. 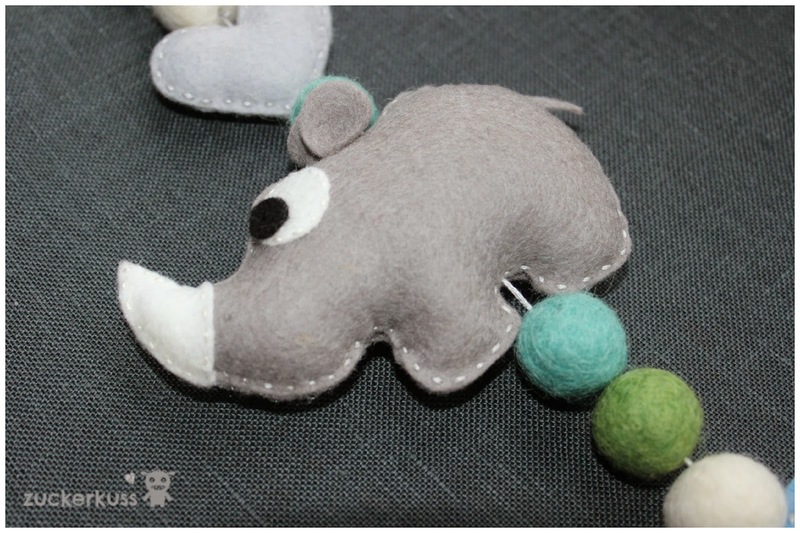 rhino). Again, I made this using felt and felt balls. So lovely to work with. Usually I am sitting on the couch in the evening with a bit of felt and stitch while we are watching box sets... Therapeutic. I got the inspiration for my nasnors from the lovely Eva from Stierkind. 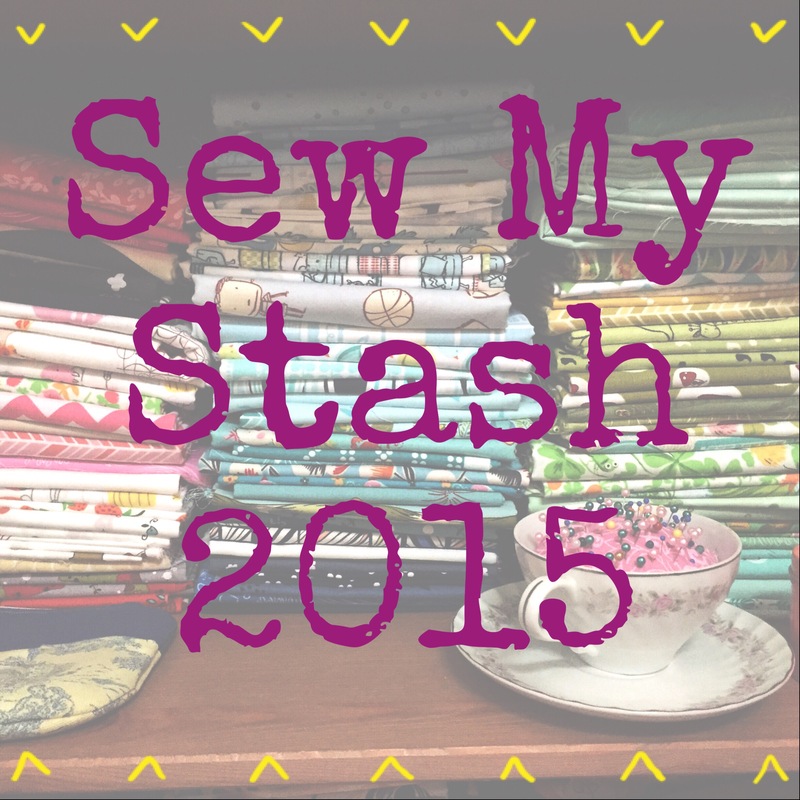 Linking up today with crazymomquilts and NTT and of course Santa's Sweatshop. 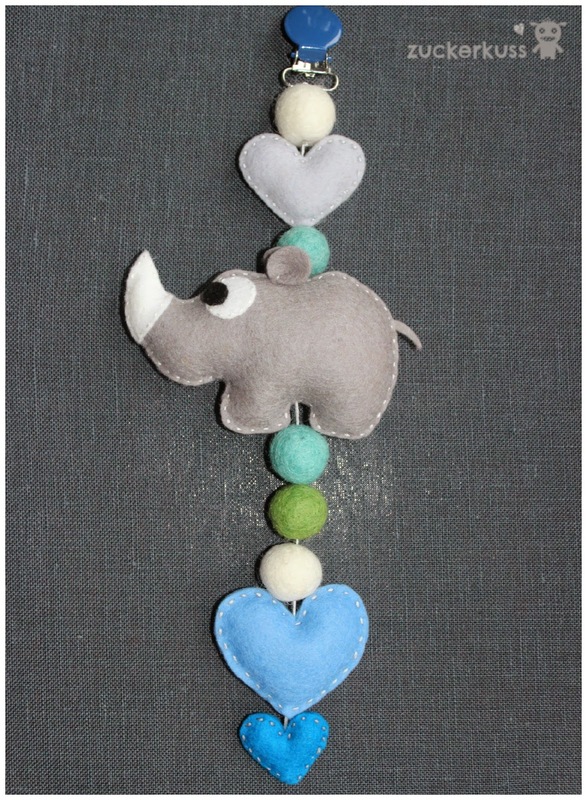 This is so sweet... perfect for a gift for a little one.